Winter Acequia. Photo Credit: Ben Roberts. Smithsonian, “you belong to an acequia.” The acequia, in turn, belongs to the land—and the water in it, whether plentiful or scarce, belongs to everyone. “For generations,” it is written in the 2010 Declaration of Core Values by El Congreso de Las Acequias, “the well being of our communities has been sustained by sharing for the benefit of the common good, a tradition known as the repartimiento. Through our acequias we have shared scarce water, between our families we have shared food and seed, and through our labor we have helped one another.” It is a system based on the herencia of a land-based people. The acequias are communally owned and cooperatively maintained. Each acequia has a mayordomo, an elected commissioner, who is a respected and trusted member of the community. Each parciante, or member of the acequia, gets one vote. The mayordomo is the steward of the acequia. He watches the water level, watches the field, watches the parciantes, and ensures that the fields are irrigated fairly. He decides when the water flows, and to whose fields, and for how long. 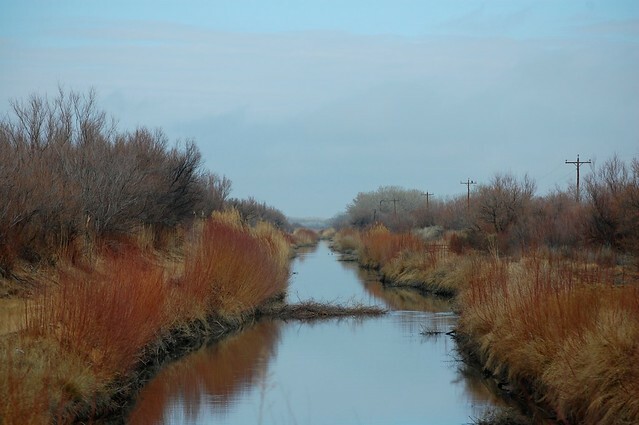 Water rights remain connected to the acequia, and can not, in accordance with tradition, be separated from the land. Acequia in Bloom. Photo Credit: Flickr/Christopher Holden. Dry Acequia near Rio Grande in Albuquerque, NM. Photo Credit: Flickr/J.N. Stewart. And perhaps the loss is more than just a memory. Certainly these communities, divorced from their agricultural heritage, have changed shape. Census data from 2008 to 2012 show 19.5% of people in New Mexico living below the poverty level. One third of counties in New Mexico are designated as having “low food access.” The Food Gap Task Force reports that “many rural residents drive as far as 70 miles each way to access the closest full-service grocery store. People that do not have automobiles or are not able to drive often pay friends or relatives to drive them to the store or may be forced to hitchhike.” The non-profit Farm to Table found that “the same basket of food that costs $55 in an urban store costs $85 in a small-scale, rural store.” Meanwhile, acequias crumble. Where traditional irrigation channels once sustained bosques of cottonwood and wild rose, the ground is eroded. Where water seeped into the uncemented banks of the acequias and recharged groundwater aquifers, the earth is dry. This is, after all, a desert. But that doesn’t stop the farmers in Nambé or the gardeners in Santa Fe. It didn’t stop the pueblo Indians or the Spanish colonists. This climate favors smaller-scale farming, dryland techniques and careful planning. The necessity of water and the fragility of the landscape were constraints that shaped the farming communities of this region—informing their values as well as their geographies. And the values are lasting. A friend in Española described to me sacando la acequia, the annual cleaning and repair of the acequia. It happens one day in the spring, and anyone whose land the acequia runs by is required to be there. “They’re happy to do it,” this boy told me. “Everyone is happy to do it.” People believe in the acequia as a life-giving force, as the groundwork for community. This belief, reinforced over generations, is imbued with hope. For hasn’t acequia culture always been grounded in community, in the ideals of equality, cooperation and conservation? 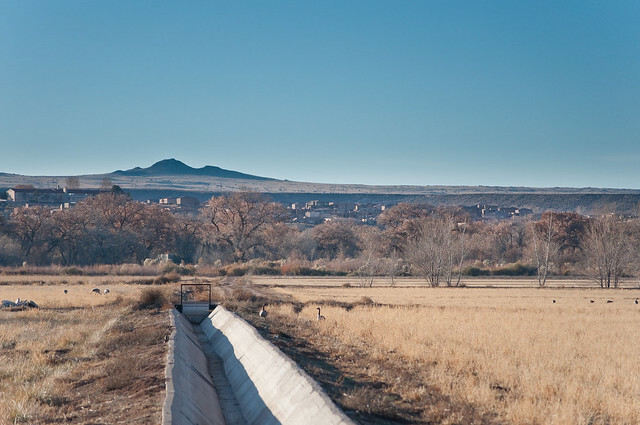 The laws that govern acequias reflect the importance of water in the high desert. Here, water is life. Its path is sacred. Water flows through the acequias; its levels rise and fall, it is diverted here and there, runs through fields and cottonwood groves; finally, it is returned to the river from which it came. Like life, it belongs, rightfully, to everyone. Nice work, Natasha! It’s pretty incredible that these communally governed water systems have thrived for so long. There’s so much for planners to learn from this as far as shifting the conversation about “water security” and understanding how adaptive, collaborative management can work in practice. Thanks, Rachel! I’m glad you enjoyed it. 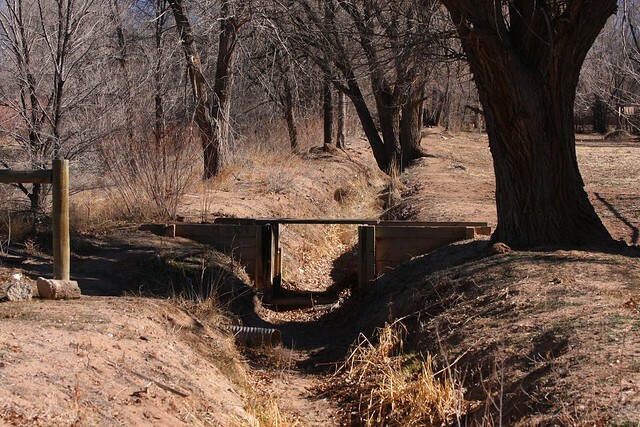 I feel like I’ve hardly scratched the surface–so much more to learn about the history and the impact of the acequia system.